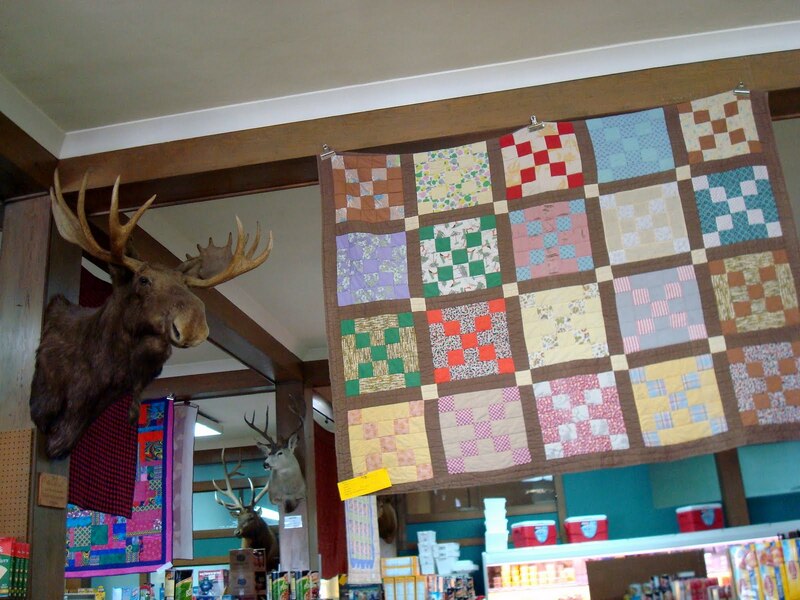 Squash House Quilts: Bass, Quilts and Taxidermy! Mr. Squash and I are back from our trip to Oregon. We had a fantastic and very interesting trip! I'll have to split this into two posts so you don't get overwhelmed with photos! Our Bed and Breakfast in Service Creek, permanent population 30, was right on the John Day River. 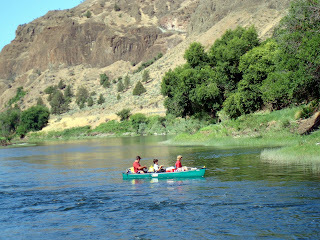 Even though we were in remote, East Central Oregon, we had wireless Internet service and all the comforts of home! 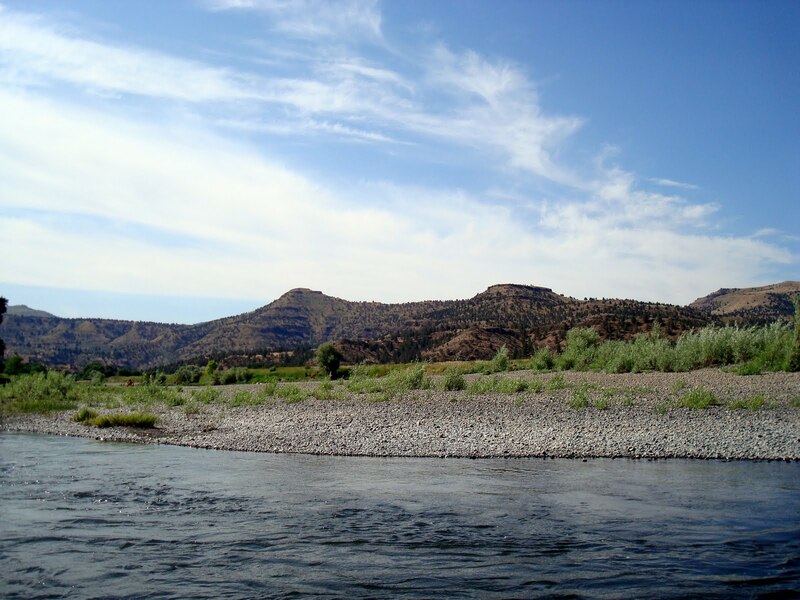 The first evening we fished a little from the river bank and each caught a couple of bass and I caught a small rainbow trout which I later learned was a baby Steelhead (my first Steelhead ever)! 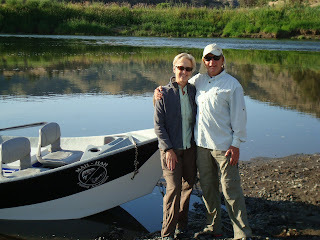 Here we are above the next morning ready to set off in the driftboat with our guide, Bill. 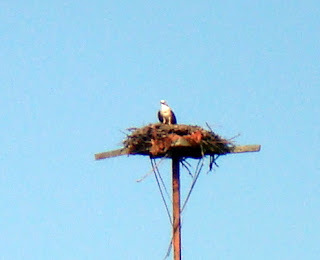 One of the first sightings was this Osprey nest. It had a mother and the baby above in it. As soon as the mother saw us, she left the nest and began circling the area to protect the baby. Unfortunately, I couldn't get a clear picture of the both of them together. We saw a lot of other birds -Sandpipers, Cedar Waxwings, Redwing blackbirds, Hawks, Kingfishers, and more! 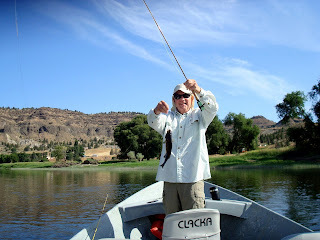 While I caught the first Smallmouth Bass, Mr. Squash caught the largest - above! Look at the gorgeous scenery! It was like this the entire 5 miles of river that we drifted! Here is our guide, Bill. He said he doesn't smile, but we managed to coax one out of him! He was very knowledgeable about catching bass, and did not disappoint with the numbers! Between the two of us we caught and released 45 fish! See that black bucket in front of Bill? Around 10AM he started some charcoal in it and cooked us a dutch oven lasagna for lunch! It was wonderful! In the late afternoon, he even made us fresh strawberry shortcake! 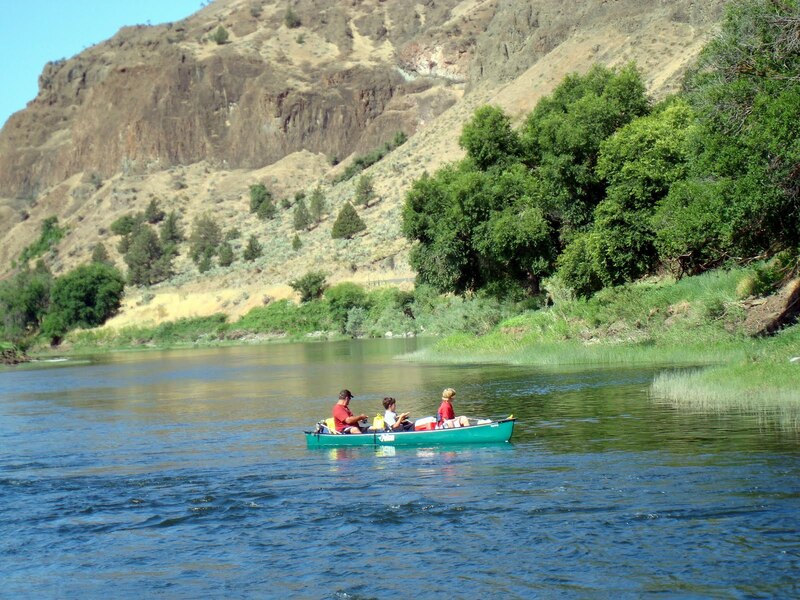 There weren't many folks on the river, but on and off during the day we kept seeing this fellow and his two sons in their canoe.They were so nice and we would exchange "fish stories" along the way! We asked how long they were out - he said several days with camps on the river along the way! I told him to be sure to check the my website when they got home so they could see this photo! 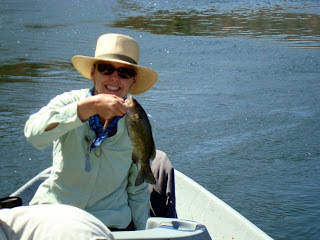 Here I am with my largest catch of the day! Thank goodness for neck buddy's, hats and long sleeved, lightweight shirt and pants - it got up to 92 degrees! We had a lot of fun and lots of laughs with Bill! By the time we got out of the boat it was 5pm! I'm sure we'll do this again!! We took out time driving to the B&B, stopping in all the small towns along the way. No town was over 200 in population and services were minimal in each. However, in Fossil, OR, we decided it was time to get a snack and some water. 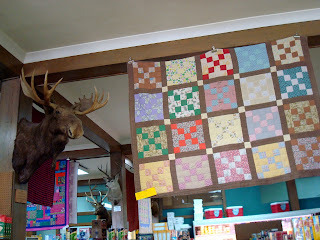 We walked into the original General Store in town (over 100 years old) and what did we see but loads of hanging quilts along with nearly as much taxidermy! 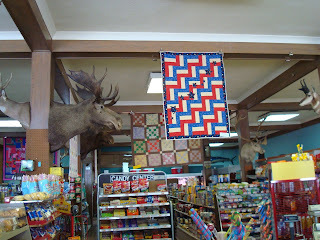 The store contained a small quilt shop on one side, sporting goods in the back, and groceries out front. This was a vintage crazy quilt. On the quilting side there were lots of original-to-the-store antique sewing displays and this gorgeous antique sewing machine cabinet. I'd never seen one so gorgeous! I didn't post a photo of the fabric area as it was very small and plain. 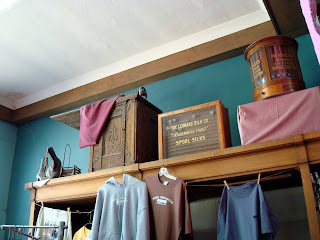 Wouldn't you love to have this old ribbon display! We like to think that Mr. Moose is saying "Hello, would you happen to have a marshmallow?"!! This quilt was made by the guild for their county's Centennial in 1999. It was a wonderful combination of embroidery, photos and applique! Click on it for a better look. Next post will be the second part of our trip! I am totally behind in catching up with posts while I was gone, but intend to read them all in the next day or two! A day spent outside at 92 degrees sounds like a hot, hot day. That looks like a plastic bucket that the lasagna was cooked in. Glad you had fun and thanks for the peak at the taxidermy and quilting! Welcome home Candace. Looks like a great trip! Love the scenery too. Just imagine what it must be like to live in such a small place. You would have to order so much fabric in on-line as only the basics are stocked. What a serene looking area. You must have been in Heaven with your catch! 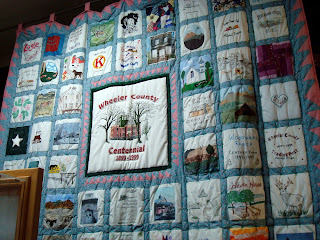 Love the general store and I'm sure it was a real treat to see the quilts. Looks like a wonderful trip. 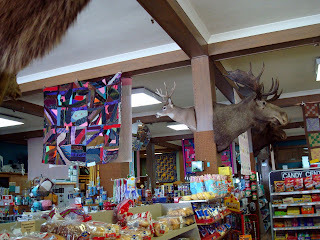 Who would have thought to put a quilt shop, taxidermy and groceries all under one roof! Too funny! Nice fish!!! Your pictures are just sooo pretty! What gorgeous scenery! I wouldn't be able to fish because I would be breaking my neck looking around! LOL! Sounds like you had a wonderful little vaca. Taxidermy and quilting, what a combo! Looked like a really neat shop! Looks like 'God's country', Candace. The scenery is spectacular. I used to love bass and walleye fishing when we had our cottage many moons ago. I think I could have gotten lost in that shop with all the antique memorabilia. Wouldn't some (or all) of that stuff look great in our sewing rooms? Glad you made it safely home. Can't wait for the continuation. Now that looks fun. Great weather even though it was a little hot. 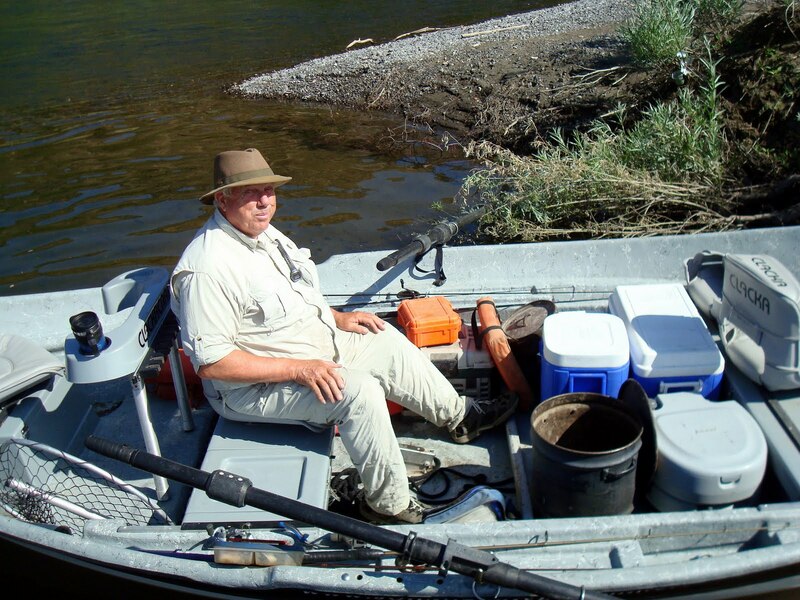 I am surprised you were catching fish with it being that hot but I am glad you did. I bet that fun exploring the store. Yes, I would love that ribbon display. Sounds like a great combination for a store, something for everyone. Sounds like the perfect trip. Can't wait for part two.